Studies show that as many as 50% of back surgeries are unsuccessful, leading to a new diagnosis, failed back syndrome, or failed back surgery syndrome (FBSS). 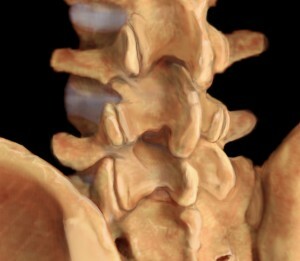 FBSS is a condition in which back pain and other associated symptoms persists after having spinal surgery. This basically means that even though the anatomical problem that was thought to be the reason for your pain was fixed, you didn’t feel much better. Strong pain medications, such as morphine or oxycodone given orally or delivered close to your spinal cord through an implantable pump. These surgeries fail because the pain was not caused by what was seen on the MRI or CT scan. In other words, it was not partially or completely the result of problems in the spine and the nerves coming from the spine. A recent large study of patients diagnosed with spinal stenosis showed that even if the surgery was successful in decreasing back pain, after 8 years, there was minimal difference in pain relief for patients who had undergone surgery vs. those that did not. Long term studies of patients with herniated discs have also shown that after 5 years those patients who had surgery did not have better results than those who didn’t have surgery. 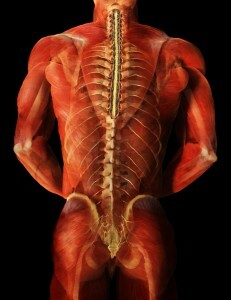 Most back pain comes from soft tissue, such as muscle. Pain in the neck and shoulder, as well, is often caused by muscle, but a thorough physical examination to identify muscles as a source of pain is rarely, if ever, done. This is true for FBSS patients as well. If spine surgery didn’t work a FBSS patient can still find pain relief if an unexamined source of pain is identified and treated. 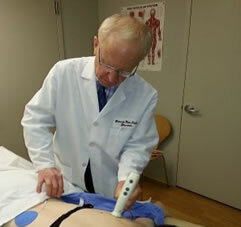 At the Norman Marcus Pain Institute, Dr. Marcus will provide a physical examination utilizing an instrument he developed that can determine if you have muscle-related pain. An individualized treatment plan can then eliminate or decrease your pain as it has for many patients who were considering surgery as well as those who already had unsuccessful surgery. Here are a few examples FBSS patients who were successfully treated by Dr. Marcus (Patient 1, Patient 2).